A professional Machine to get your Nail Art done in small time with perfection at home. 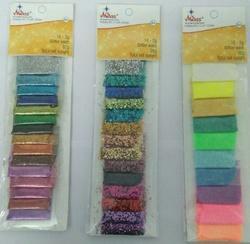 6 Colors Nail Paints also included. We offer nail decor products, which are easy to use and to remove. These gives hand a unique and clean look. These are ideal to wear with your contemporary as well as ethnical outfits. We offer this product in various colors, which are eye catching and striking. - Get ultra glossy nails that stay flawless. Get beautifully shaped and painted nails with chic designs on your nails. Stamping, emboss, marble, glitter, abstract, one stroke, party decoration, 3D nail art, 2D nail art. We Provide Nail Art Maker for any occasion in Kolkata. DQ Beauty Solution has specialized services in nail art also. DQ Beauty Solution provides various services for men and women. Our salon provides services to customers keeping in mind the personal hygiene and beauty. Women take on many roles, be it at workplace or at home and are always “Giving. We at Pretty Woman make sure that Women are pampered and groomed to take on the world. Pretty Woman is a place where Women can experience personalized attention coupled with state-of- the- art equipment, where she can experience a complete transformation of body, mind and spirit in a relaxed atmosphere.